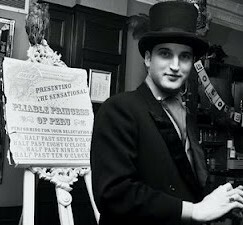 Since performing his first magic show at the age of four Robin has become …….. 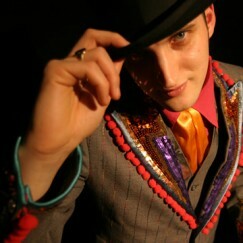 Since performing his first magic show at the age of four Robin Fox has become one of the UKs most versatile magicians, appearing (and sometimes disappearing) on many stages, TV shows and film sets around the world. 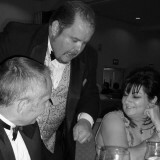 Suitable for all events – from black-tie dinners to street festivals, Robin combines a unique comedy style with a fine range of costume, mind boggling magic and exceptional sleight of hand – enriching his audience with magical memories wherever he performs. 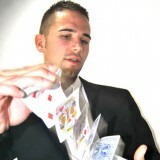 His repertoire ranges from melting objects through each other, card craft and vanishing objects – to elaborate, gravity defying sorcery and mentalism. 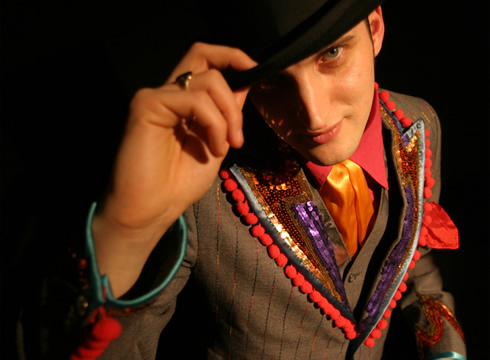 Performing Crafty Close up Magic, Wonderful Walkabout Acts and Fantastic Family Shows – All full of Robin fine English Charm and Crafty Cunning. Prepare to be Amazed, Baffled and Amused. 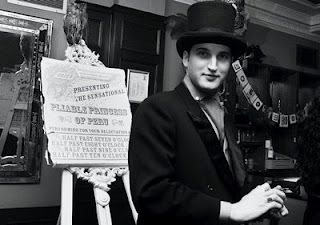 Since training the first White Rabbit his substantial client list includes: Buckingham Palace, GMTV, EMI, Virgin, The Millennium Dome, Mercedes, Glastonbury Festival, Columbia Films and many, many more worldwide. 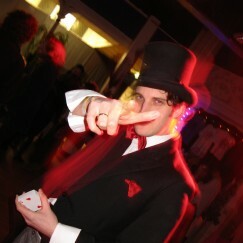 Appearing as a Wizard or in Top Hat and Tails or a Smart Black Suit if more subtlety is required! This Act has not been reviewed yet. Be the first to post a review! Email: Optional, will not be publicly displayed. You do not currently have any acts on your wishlist.